On January 10th, at City Fish Market in Boca Raton, Michael Levin, will speak to the Gold Coast Tiger Bay Club. He’s an expert on cyber security, a former Secret Service agent, the founder of an organization dedicated to keeping people and businesses safe from emerging digital threats. Join us for this Lunch & Learn Event! 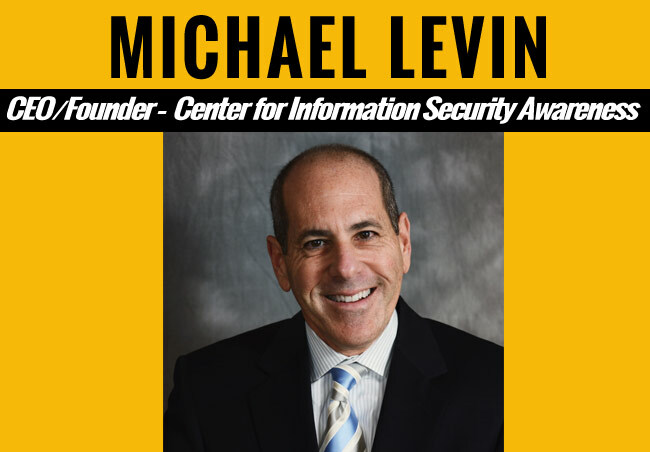 Michael founded the Center for Information Security Awareness (CFISA) – https://www.cfisa.org/ to help businesses teach their employees best practices to combat the onslaught of cybercrime. CFISA is focused on helping educate employees to reduce risk and avoid cyber crime vulnerabilities. Michael will discuss why our National cyber security is so important to protect our critical infrastructure. He will also provide valuable insight on how to protect your personal accounts and why we all need ongoing cyber security awareness. Globally – Terrorist, Nation States and organized crime groups use cybercrime to steal funds and obtain sensitive information. Personally – Your personal and family’s identity information are at risk! Company – Your businesses reputation and success now requires cyber security best practices are followed. Why do businesses need to train their employees? Even when your IT department has barricaded the back door. Just a simple click on a link, attachment or website by just one employee can open your front door to a catastrophic data breach. It doesn’t matter how big or small your company is. Hackers want your sensitive company information and customer data. Hackers are good at their job — they study predictable human behavior. Michael will share plenty of Secret Service “war stories” and also provide valuable information to help protect our family’s and those we care about.